This is a traditional red fish curry from Kerala, it is called as mullaku charu which means red chilly curry. 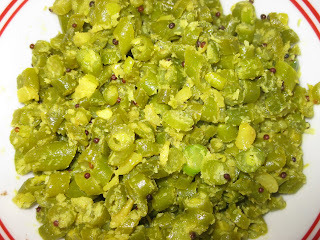 It is very spicy and hot and is fragrant with curry leaves. You can increase or reduce the amount of chilly powder to control the spice level. 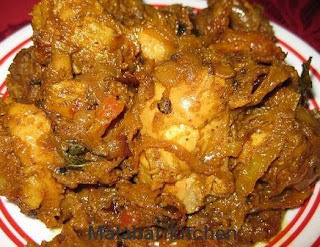 This is very healthier than the fried fish and can be had with chappatis or Rice. This can be made with small fish, but i used here tilapia fillets. =►Soak tamarind ball in 1/2cup of water and make juice. =►Grind shallots along with turmeric and chilly powder. 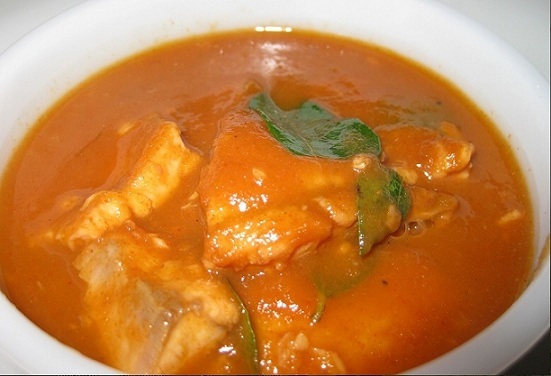 =►Heat a pan, put 1/2 cup of tamarind juice along with grinded paste. =►Add sliced garlic, ginger, green chilies and salt into it. =►Allow it to boil for 3-5min on medium flame. =►When it boils well add fish pieces into it. =►Cover it with lid and cook it for 5-10 min (It depends on fish pieces). =►Put Curry leaves or cilantro and coconut oil into it.